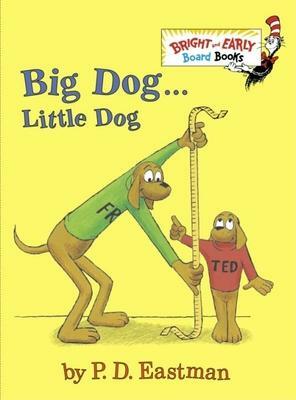 A condensed, board-book version of the P. D. Eastman canine classic Big Dog . . . Little Dog, staring Fred and Ted--mutts who are opposite in every way, but best friends nevertheless. P. D. Eastman was an author-illustrator who created many children's books, including Are You My Mother?, Go, Dog. Go!, and The Best Nest. Trained at the National Academy of Design, he enlisted in the army in 1943 and was assigned to the Signal Corps Film Unit--which was headed by Theodor Geisel, who would eventually become known to the world as Dr. Seuss. After Geisel later approached him to write for his new Beginner Book series at Random House, Eastman published his first book, Sam and the Firefly. Since then, Random House has sold more than 30 million books by P. D. Eastman, and he has become one of the most beloved children's book authors in the world.